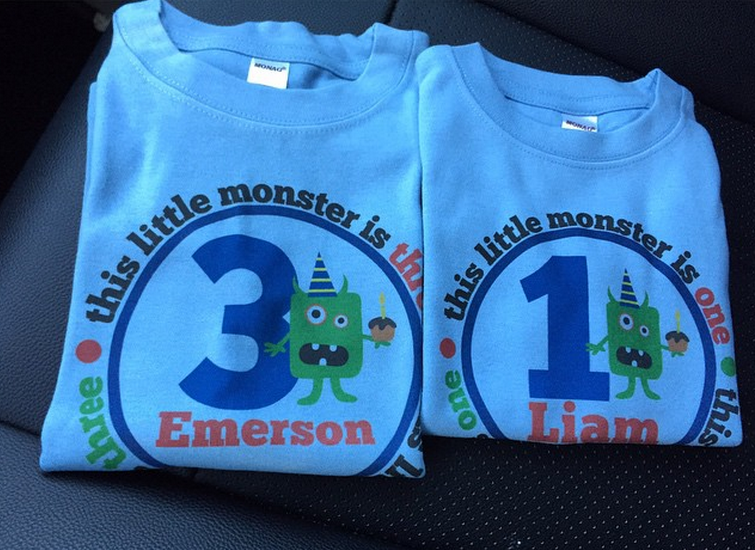 With both boys birthdays just 2 weeks apart, I knew I wanted to get them matching birthday shirts! But I also wanted something that they could wear all year and not something JUST for their birthday. 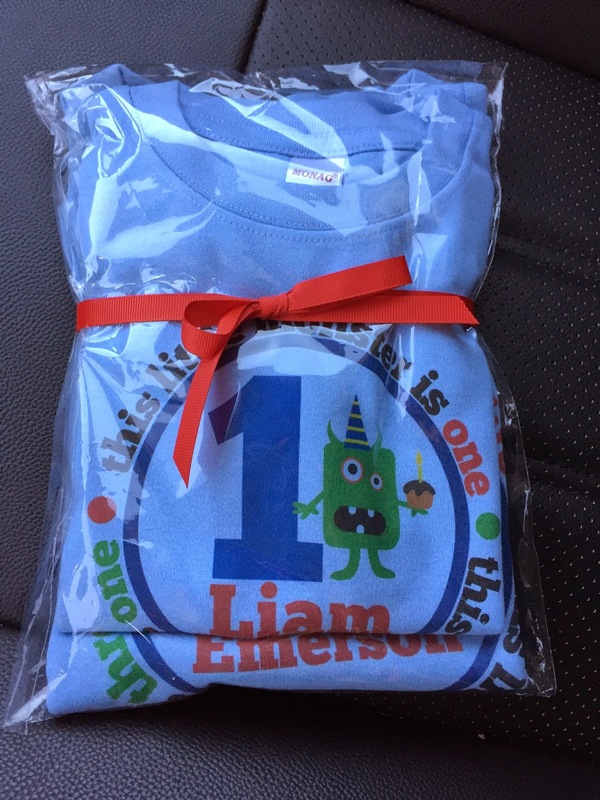 So with that I chose the Birthday Shirt Monster for both boys. But I didn't want white so I got light blue and then had them make the circule a different color so it didn't clash too bad! I love that you can make the shirts custom and not just a standard shirt with Zoey's Attic. I love that it can be what you need and they do it easily for you. The shirts were more gorgeous than I thought they were going to be! They are just so beautiful! 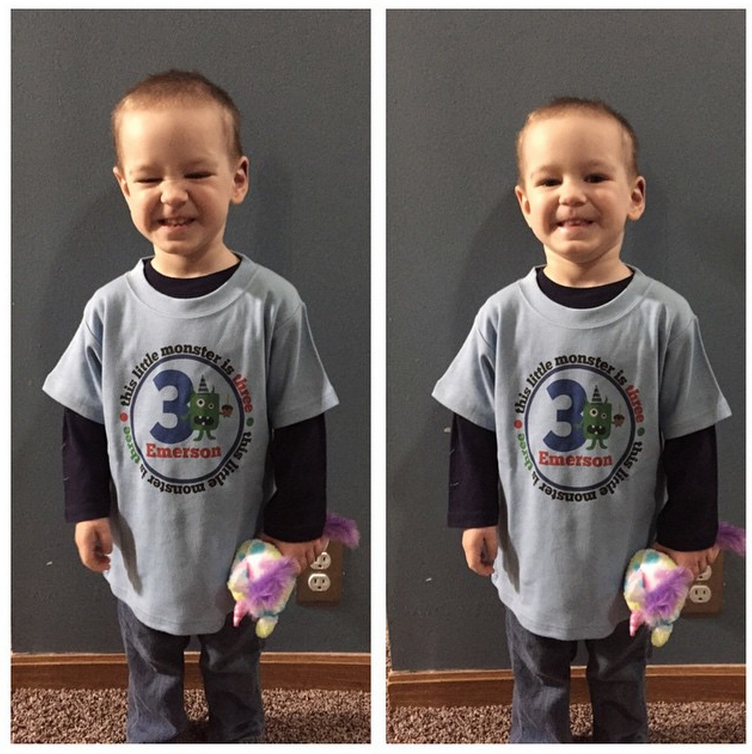 My toddler on his 3rd birthday!! And just like that I have 2 toddlers!!! A 3yr old and a 1yr old and I can't even believe it. I can't believe how old they are now. BUT having Zoey's Attic shirts definitely helped make the days that much better!! They added such a cute characteristic to their birthday! We have always loved our Zoey's shirts. They are not ink on top of the shirt. They are screenprinted right into the material, so there is no wash wear or peeling of the ink. I love that they have longevity and can be worn over and over and still look new! Zoey's Attic has SO many wonderful items for just about any occasion so you can go there for anything you may need. They sell maternity, birthday shirts, big sibling shirts, pillows, mugs, dog shirts and more. For Apparel for All, Zoey's Attic is offering a $35 Certificate! Giveaway goes live on the 2nd! These shirts are so cute. I need one for my little monster. Too adorable! So Cute! 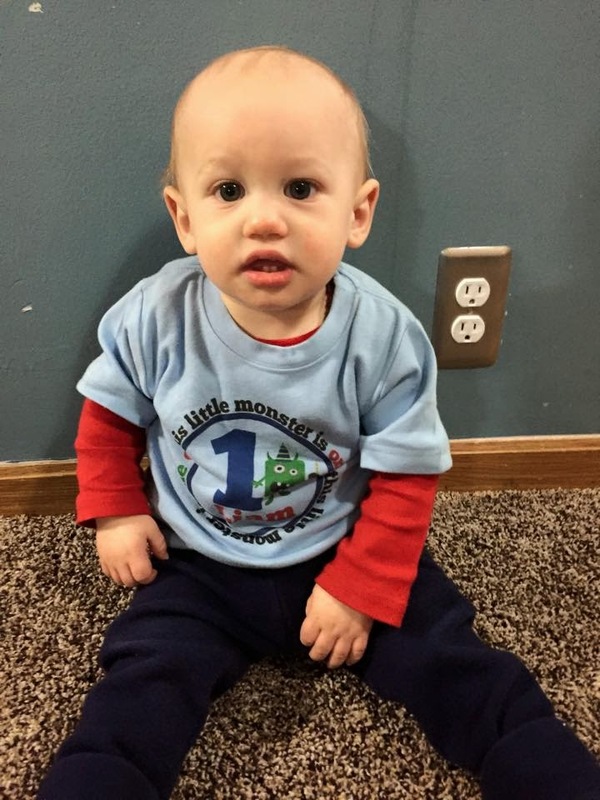 Love these family fun shirts!